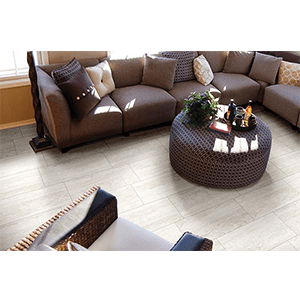 [Doral, Fla.] Mediterranea, a producer of tile in collaboration with factories in Italy, Spain, Brazil, Turkey, Argentina and the U.S., announced the addition of two new colors to its Forum series, which features the look of classic, vein-cut travertine. The new colors ivory and walnut complement the existing tones of silver and cappuccino. According to the company, Forum utilizes Mediterranea’s HD Imaging design technology to deliver this look. The Forum series is manufactured in a 12×24 format that highlights the rich veining and warm tones of classic roman travertine. Mediterranea also makes Forum available in 12×24 sheet-mounted mosaic strips as well as in 1×2 mosaic sheets.